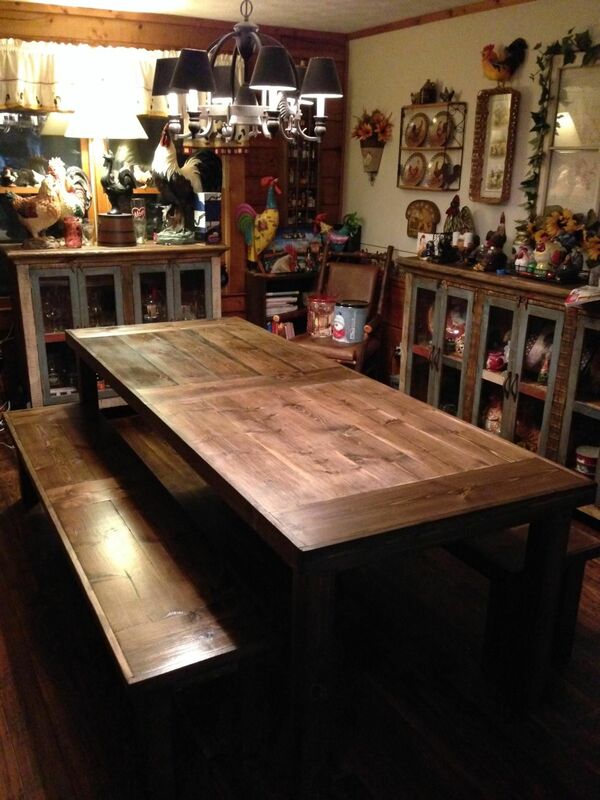 8 Ft.-20 Ft Farm Table- Dark Walnut With Two Benches! This table was for a country farm house in North Georgia! We stained it with dark walnut for the dark brown color you see here! We can create this in any size for your home, office, restaurant, etc! 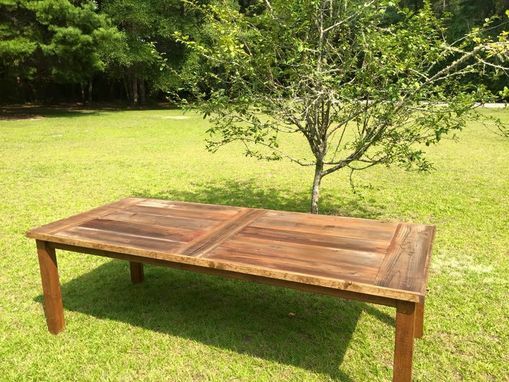 We create dining tables, farm tables, conference tables, reception tables, desks, bars, benches, chairs, etc. Inquire today and see what we can build for you!